Individually wrapped in luxurious golden foil within an eye catching red box, these romantic heart shaped chocolates, filled with roasted hazelnut praline are the perfect way to say ‘I Love You’ this Valentine’s Day. The 50g box (RSP £1.49) which contains four praline filled hearts is the ideal love token, whilst the 125g heart shaped box (pictured. RSP £3.99) makes a more substantial Valentine’s Day present. 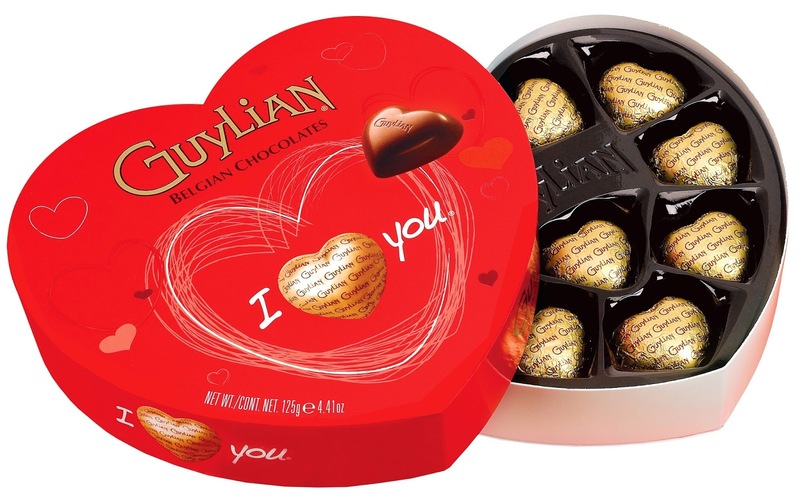 For your chance to win 1 of 10 boxes of Guylian I Love You chocolates you can enter via the Gleam entry form below. 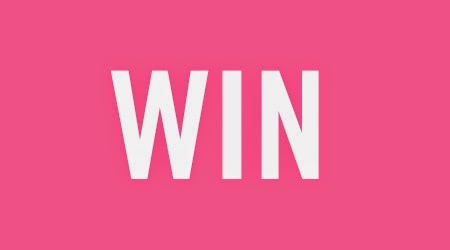 The giveaway ends at 11.59pm GMT on 10th February 2015. Leaving a comment is mandatory but there are additional entry methods available also. I went into labour with my first child on Valentine's day 2004 so the gift of motherhoor was the best Valentine's present ever! I like to just go out for a nice meal! For my husband to take me somewhere nice without the children. The best gift is chocolate and a weekend break for me when I can spend time together with my hubby. A lie in! A lovely meal and a visit to a stately home with no kids. To spend it with my forever faithful fur babies what else can you do being single! I would love to be surprised with a weekend away!! Best gift would be just to have the day off with my wife so that we can spend it together. Yummy, perfect gift for my hubby. A card, home-made dinner , box of heart shaped chockies and lovely red roses. Traditional but very nice. My perfect Valentine's Day would be to go on a romantic picnic with my boyfriend. My perfect Valentine's Day would just involve spending some quality (toddler free!) time with my husband! A home made dinner with my lovely wife. That's all I need! I'd love to be whisked away to the gorgeous Cotswolds for a romantic night! Best gift was a solitaire ring in white gold, which I had always fancied. Quiet night in with a good film, a takeaway and a glass of Pink Lucozade! I'd love a wonderful night away in a romantic hotel with dinner! It would be something low key like a day walking followed by a nice meal. Perfect valentines would be a nice steak dinner at home with a nice bottle of wine! Perfect valentines would be an evening in for me with a home cooked meal prepared. Followed by chocolates and a good film! Much more thoughtful than a busy meal out in my eyes. To actually get a Valentine's card would be lovely. Him indoors is notoriously mean and pretends to forget it's a special day. I'd love a city break somewhere gorgeous with great restaurants (but I'll settle for having the bins put out). A day of work is the best possible gift! The best ever present was the birth of our Daughter on a Valentine's Day, so it is an extra special day for us. a weekend break to have some quality time away. A night in with my hubby! My ideal Valentine's day would start with the chance to sleep in as late as I want. Then I'd be able to eat all my meals at the correct temperature, go to the bathroom without an audience, and relax with my husband. With a toddler, these days never happen! And, of course, chocolates would be appreciated. The kids to go to bed without a fuss and then a nice meal in would be good! I would just like my other half to actually plan something, he's never planned more than an hour ahead in his life! I've never celebrated it but I would love to have chocolates and go away for Valentine's Day. a huge box of chocolates from an ex boyfriend yum! These chocolates would be a lovely gift. A nice treat to share on Valentine's Day. I think I would just like a little recognition! my husband got me a dart board years ago and i love it! My perfect valentines day would be a trip to the cinema and a meal. My perfect valentines would be surprise meal! My engagement ring was best, 38 years ago!!! My husband made me the most beautiful jewellery box, varnishing the wood himself and putting it to together with little dove-tail joints and a music box inside. He is wonderful! Weekend in bed to catch up on my sleep! I was in hospital having our son and was upset I had to take my wedding ring off. My husband nipped out and came back with a beautiful gold chain so I could wear it round my neck. Perfect for me would be a walk to the local lakes to feed the swan, and trip to the cinema and a nice meal out! A nice card. Sad but sweet. A good meal, a nice bottle of wine and plenty of quality time together. A pampered day starting with breakfast in bed and ending with a romantic meal out in the evening. The time in between spent together, just the two of us. We only ever really go for a nice meal, something we both enjoy. My perfect Valentine's Day would be a day of retro gaming, a surprise giant millie's cookie and a day spent in bed in pyjamas! I would love a weekend away! that would be the perfect gift. Thanks for this lovely giveaway! The best gift I got was a beautiful neckless from my hubby. He chose is himself! I'd love to go up in a hot air balloon at sunset. I cant imagine anything more romantic. My husband proposed to me on Valentine's Day so I don't think anything could top that! For him to clean the house. I'd love a night out at a trendy restaurant for Valentine's Day with my husband .. cliche but it'd be so fun! Stuffing my face with chocolate! A nice home cooked meal followed by a snuggle on the sofa watching a romantic film. Expensive meal at a popular restaurant. Hair & makeup done professionally. Go to cinema after meal. Stay night at Hilton hotel. A cuddle with my loved one tucked up with a hot water bottle. The best present I have received was a talking Shrek cuddly toy, saying "its better out than in Fiona!"